You’re welcome, Linda! Thanks for stopping by! Thanks for the reviews, Lisa. I’ve got a 10-year-old daughter with a Kindle we like to keep full. She’ll love these books, Lois! Oh how I love reading reviews of great MG books. Word of mouth recommendations are my favorite way to delve into new territory, and you speared the heart of each story beautifully. I’m adding both to my TBR list. Thanks, Lisa! Both of these books sound excellent. Thanks for bringing them to my attention. You’re welcome, Darlene! Thanks for stopping by. 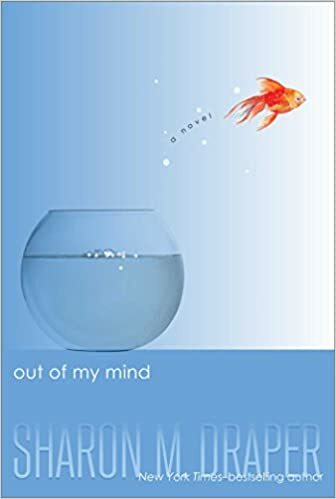 Out of My Mind sounds like a great read, so thanks for the informative review. I’ll snag a copy as soon as I finish my current stack of MG books. 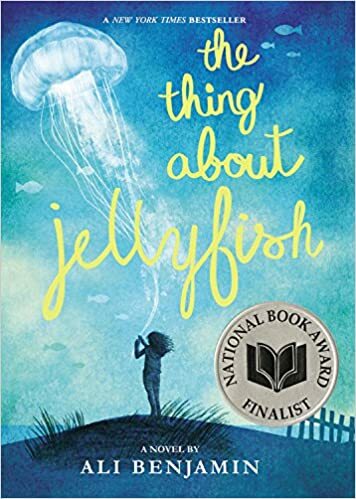 I’ve read The Thing About Jellyfish and agree, it’s an awesome story. It helps kids realize that even adults sometimes can’t fix things, no matter how much they want to. I loved Suzanne’s plotting and planning for that trip, even though my heart broke for her at each new development took place. Very good reads, and great reviews. Thanks Cordelia! I’m glad to hear you enjoyed “The Thing about Jellyfish.” It’s one of my favorite stories. Great novel picks, Lisa! I’ll check them out! Cheers and thanks for sharing! Always helpful to find out about more good books! Thanks, Lisa! You’re welcome, Alan. Thanks for stopping by! Both of these books sound great. Wonderful reviews, Lisa! Thanks for stopping by and for your kind words Lynn! I appreciate them!